This season we’ve been looking at the way musicians fire off each other to strive for richer more imaginative sounds. In particular the rivalry in the mid 60's between The Beatles and The Beach Boys, who with the release of a few albums pushed each other to reinvent music with far reaching changes that still apply today. The Beatles wore their trade mark crisp, clean London tailoring on their visits to California during this period but soon started mixing in the sunshine inspired looks of the surf dudes. Colourful printed shirts sported by the laid back Beach Boys created a completely new feel amongst the British youth. 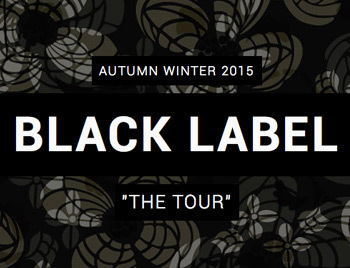 This season Black Label delivers a versatile range inspired by the 60s fusion of Britain and America. Luxury staples compliment the headline outerwear pieces that Pretty Green is known for. The key stories this season span from British military undertones to Mod tailoring and merge with the Beach Boys influence of floral patterns and textured fabrics.